City Health Care Partnership CIC, is a growing co-owned ‘for better profit’ business providing a wide range of health and care services across numerous geographical areas including Hull, the East Riding of Yorkshire, North and North East Lincolnshire and Knowsley, Merseyside. A socially motivated company, and registered charity, with a diverse portfolio of businesses, all profits are invested into services, staff and the community. Since 2010 CHCP has given out over £180,000 in small grants and staff sponsorship, contributing substantially to the health and wellbeing of local residents. They are one of the largest co-owned companies in Britain. City Health Care Partnership CIC is a co-owned organisation and all permanent staff have the opportunity to purchase a £1 share. Being a shareholder gives staff a stake in the company and a sense of ownership, which is encouraged by participation in events, prize draws and regular communication; shareholders also have the opportunity to attend the AGM each year and to sit on the executive board, the community partnership forum and to be trustees of the CHCP Foundation. Shareholders are represented by colleagues on the shareholder forum, with the chance to feed in their views and comments. 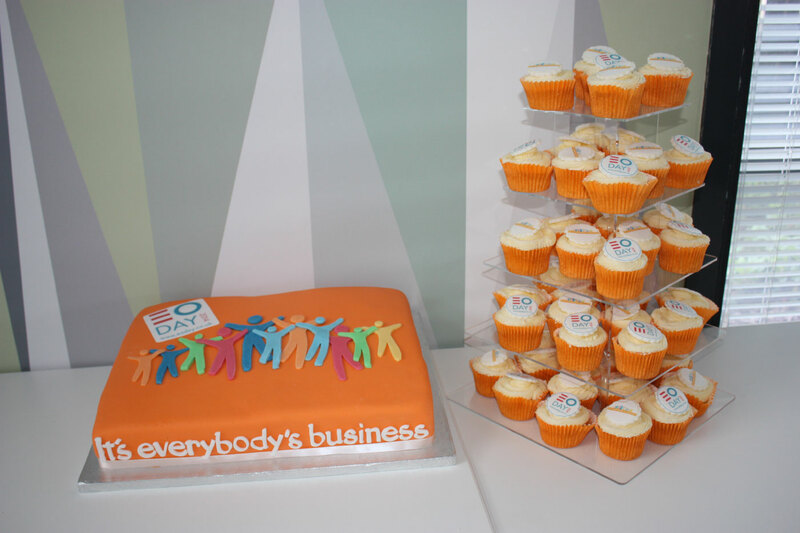 In August 2013 the staff shareholder scheme was re-launched under the ‘It’s everybody’s business’ banner to bring the importance of CHCP’s status as a co-owned mutual business to the attention of all staff and encourage them to become shareholders. Numbers have steadily increased and 62% of staff are now shareholders. ‘It’s everybody’s business’ means that staff feel engaged and involved in the success of the organisation and part of the bigger picture. A recent staff survey showed an annual improvement of 3% on satisfaction with involvement in decision-making on departmental and organisational changes and 87% of staff were aware of CHCP CIC’s mission, vision and values. CHCP also report a turnover rate of 9.5% a year, well below the UK average of 15.6%. 22 people on average applied for each job advertised at CHCP CIC last year. The culture of engagement and collaborative working that comes with being co-owned was also reflected in a patient survey, with an increase of 14% since 2010 in those who rated their care and support as excellent and 98% of respondents having trust and confidence in the person they saw.